The hard days often catch us close though. The rough journeys we took and stumbled through… I am reminded of these tear-soaked whispers as I think of the ones whose hearts etched themselves strong in our living and whose time was inscribed with and endpoint in the temporal places. Hearts still break a little each time those memories surface, and though time ebbs away at the sharpness, it always leaves scar tissue. Yet, because of grace, the scars hold special meaning to the Father because they are imprinted with His fingerprint and remind us we were never once alone while we walked. Looking back on the calendar of time allows us to see His faithfulness enacted through Grace, because He has held us close to His heart every step of the journey. These end of the year days always have me remembering the goals we set: the ones we met, and the many that got shuffled, lost amidst the journey. I am learning not to hold so tightly to their memory, and to trust that He is working it out for good because holding on to the temporal takes my eyes off the road He has called me to walk. God does that, you know. He really does work it out. He is really really trustworthy. He is faithful to bring you to that place He has called you to dwell within, and that calling He placed in the pit of your soul… the one that has shaped you…it is still alive and important. The creative living place where Christ was made to dwell and shine within you is only refined by the hard days, the difficult journey, the struggled-for-grace moments. 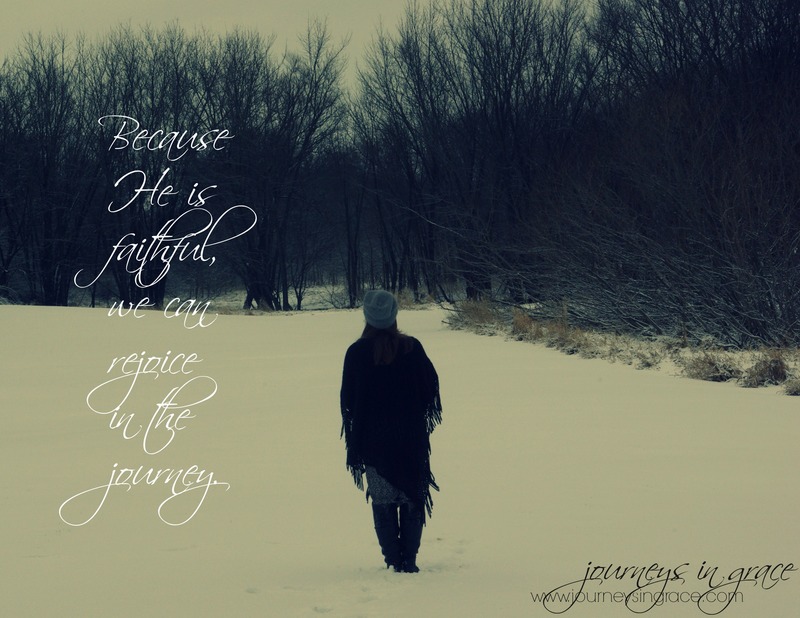 Because He is faithful, we can rejoice in the journey. We are called to rejoice in all the remembering because when we take time to look back we see HIS hand very clearly holding ours through each moment of the journey. And though each memory may not be what we would consider a winning moment, we have the assurance of His overcoming as our reward; and looking through the shadow of the Cross we can trust we always wear the victor’s crown because He has overcome the world. His grace gives us the boldness to come close. His grace makes it possible to walk fully in the new created you that was birthed when Christ makes His home in your heart. 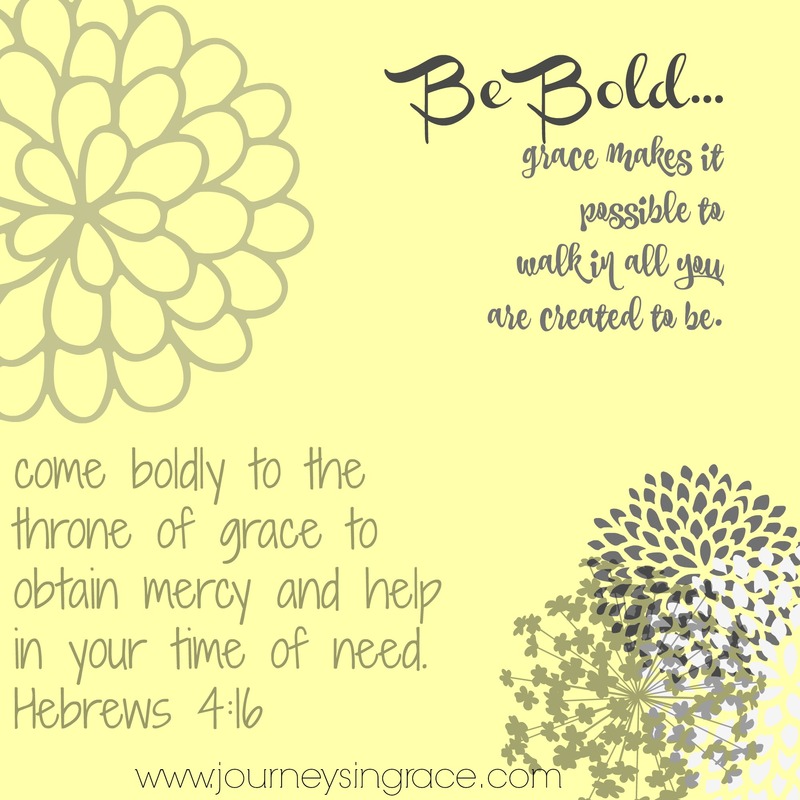 Bold grace, you can wear it well, friend. One Word and Words with Friends! And then there are lots of us, wordsmiths who love to craft hope with our telling, wanting to make a space and a place for our stories that join in choosing a word or a phrase or a focus for our new year. I have been reading the inspiration all over the place and relishing the goals that are being set, rejoicing in the release that is thrust out in faith. I haven’t narrowed it down, yet… my ONE WORD for 2016… not yet. And I am sensing more of a passionate telling that will be soon clear enough to share with you, one that I hope will be leading and lending in the area of grace-dwelling where I love to float so often. I will share about that ONE WORD more in the coming days along with some changes that will be coming to Journeys In Grace in the next few months. Until then I wanted to share some words from friends who have blessed me this year, along with a few of the posts that touched my heart. It was hard to pick one so I focused on some of the selections that would be a dose of encouragement to you wherever you are on this walk of faith. And if you scroll down to the end of the post, you will find a Prayer Journal I created to usher you into 2016. Praying your New Year is full of all He has for you! 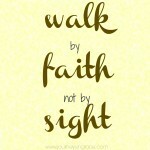 Christi always makes me think when she touches on subjects and concepts that lead us to seek Him in all we do. This prayer warrior will bless you with rhetoric that persuades you to see who you are in Christ. Her post “When you Feel like a Failure“, speaks close to every woman’s heart and points to the Father’s heart as our only answer. Lisha has this way of infusing soul serious words into a dance that sways your heart with hers. I am always inspired when I visit this handmaiden of grace. Just recently she wrote a post entitled, Vigil, that left me quiet and somber for the way that holiness met my heart and lit the fire of expectancy while I wait for Immanuel this Advent season. Ifeoma has a passion and a fire for speaking right into the heart of those things we all need to hear, and she does it with grace and love. I come away lifted and built up every time I spend a moment with her. 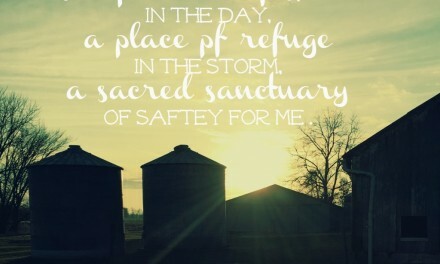 She writes about hard days in this post, “A Prayer for the Hard Days,” and she reminds us to wait for His whisper. Laura’s poetic prose allows me to ponder the gift of words, to enjoy the call to write and to bask in the beauty of taking time to look for God’s fingerprint in everything. The series she reviewed on the book, ” The Right to Write“, inspired me to both get the book and follow along, and to trust this call to put words to page and share them. Tammy writes real and faces fear big with words of courage and creative flair that paints hope. Her buoyant spirit and fireball faith encourage me, but even more her faith in others and the way she lifts them up touches my heart. She writes on her blog and various places on the internet, along with hooking up creatives from all over for the online magazine, Outside the City Gate. Her Empowered Series was a huge blessing to my heart this fall. May the LORD bless you, and keep you: make His face to shine upon you, and be gracious to you: the LORD lift up His countenance upon you, and give you peace. 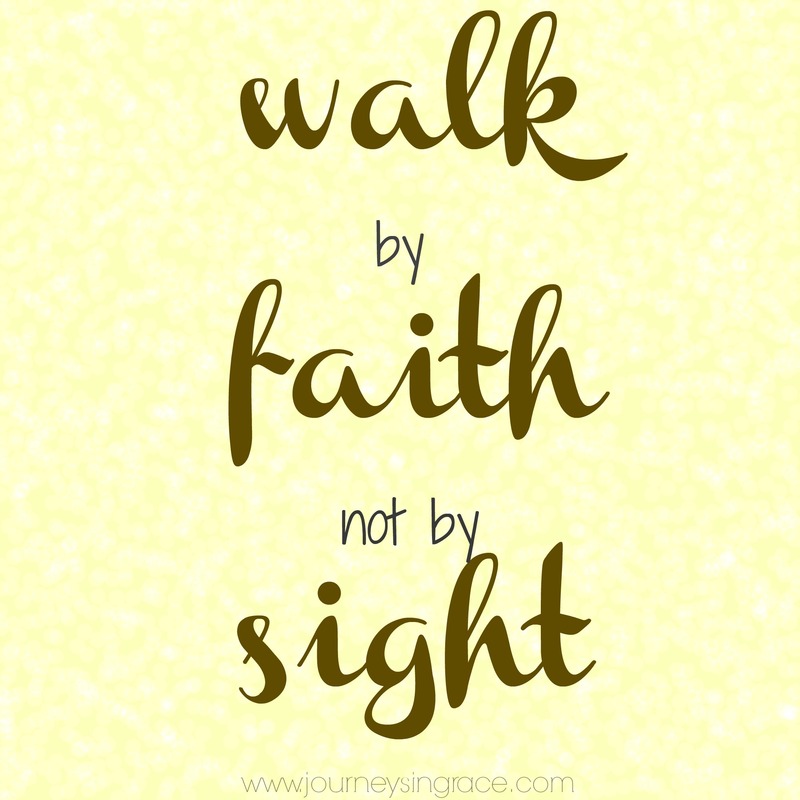 Click the link below to download the Walk by Faith Prayer Journal. Thank you, sweet Dawn, for giving me this shout-out! Happy New Year, Beloved. I pray 2016 holds rich blessings and delights for you and your loved ones!